DJ Khaled is the latest star to join the cast of Will Smith and Martin Lawrence in Sony's Bad Boys for Life. The long-awaited threequel will see the return of Smith and Lawrence as Detective Mike Lowrey and Detective Marcus Burnett. Actor Joe Pantoliano, who portrays Captain Conrad Howard in the earlier two films, is also coming for the third part. 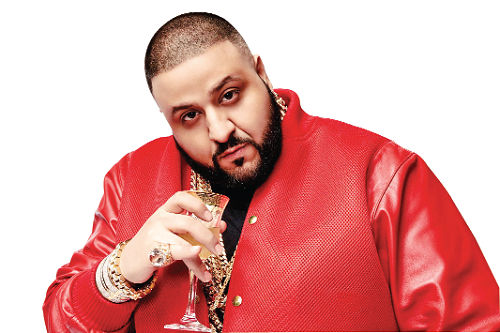 Khaled, 43, joins newcomers Vanessa Hudgens, Alexander Ludwig, Charles Melton, Jacob Scipio, and Paola Nunez in the project. The DJ, whose real name is Khaled Mohamed Khaled, shared the news on Twitter, saying, "Blessed to announce that I will be joining #WillSmith and #Martinlawrence in the cast of @badboys #BadBoysForLife movie." "May I remind you, it's only Jan 15, 2019. Y'all have no idea what's coming. I'm coming for the Oscars!! God Is The Greatest," he added. Adil El Arbi and Bilall Fallah are directing the film from a script by Peter Craig. Joe Carnahan is doing a rewrite. Chris Bremmer is the current writer. Hudgens, Ludwig, and Melton will play a modern, highly specialised police unit that collides with the old school Bad Boys when a new threat emerges in Miami. Production has started and the film is slated for theatrical release January 17, 2020.